The Back to Sleep (BTS) campaign, which kicked off in 1994, was wildly successful for the first ten years, reducing SIDS deaths by 50%. Then, rates of decline slowed and SIDS deaths have remained stable for some time. Many wonder why. If BTS is so successful, how come SIDS deaths are still the leading cause of postneonatal infant mortality in the United States and why haven’t these deaths declined more? 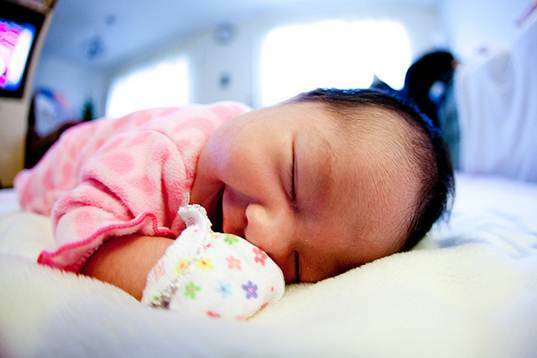 Researchers conducted a new study in an attempt to figure this puzzle out by examining both intrinsic and extrinsic risk factors for SIDS. 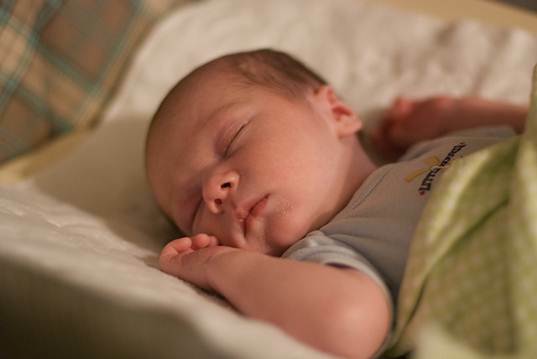 The researchers define an intrinsic risk factor for SIDS as a genetic or environmental factor – race, gender, prematurity or prenatal drug use for example – while extrinsic risks include physical stressors that may increase the risk of SIDS, such as co-sleeping, tummy sleeping, soft bedding, respiratory infections and smoking while co-sleeping. During the course of the study, researchers discovered that 99% of infants who died from SIDS had at least one intrinsic or extrinsic risk factor, 75% had at least one of each and a majority (57%) had at least two extrinsic risks and one intrinsic risk factor. Although this new study is well-balanced, it could be taken the wrong way and add fuel to the already growing pro vs. con co-sleeping debate, because it’s true, this research does show that bed sharing is a SIDS risk factor. However, you have to keep things in perspective. Most coverage of this study shoots straight to co-sleeping as a major SIDS risk factor, but that’s not what these researchers are saying. In fact, the researchers point out that face-down sleep is still, even with BTS in place, the most significant risk factor for SIDS in this country. Other risk factors, such as sleeping on adult mattresses and bed-sharing, while important to pay attention to, are not as risky as face-down sleep. The researchers also point out that, “No evidence exists that more deaths are associated with bed-sharing in the BTS era, but rather a higher proportion is due to declining rates of prone sleep-related deaths.” What they mean is that these new risks aren’t new, we’re just better able to see those risks now that BTS is much more common. Furthermore, the researchers state that the highest rates of SIDS deaths associated with co-sleeping were also co-associated with mothers who smoke, meaning it’s likely the smoke that’s an issue, not bed-sharing. Placing a baby face-down to sleep is still the number one cause of SIDS. Always place your baby on his back to sleep. Placing a baby on his side to sleep is also a risk, as many babies turn over onto their tummy when placed on their side. Asphyxiagenerating conditions, which include face-down sleeping, but also blankets, pillows and adult mattresses, especially mattresses that are very soft should be avoided. Placing a baby to sleep in an unusual place, like on the couch or in a playpen is not safe and a SIDS risk factor. Taking drugs, including smoking or drinking during your pregnancy increases SIDS risks. Bed sharing while smoking was a growing risk factor in this study.This isn’t only risky for your baby though. Come on, you can burn yourself and your house down too. Knock this off ASAP. Bed sharing in general increased SIDS risks in a minor way, but the risks went up much more when bed sharing was mixed with improper co-sleeping habits and/or smoking. Not breastfeeding is a minor SIDS risk factor, or more appropriately, breastfeeding is associated with reduced SIDS rates, so it’s wise to at least give breastfeeding a fair shot. The most important point of this study, according to the researchers, is that a majority of babies who die from SIDS were exposed to two or three risk factors, not just one. Thus, it’s essential for parents who can’t avoid all risk factors to at least try to avoid as many as possible in order to help reduce SIDS risks. The Back to Sleep (BTS) campaign, which kicked off in 1994, was wildly successful for the first ten years, reducing SIDS deaths by 50%. Then, rates of decline slowed and SIDS deaths have remained stable for some time. Many wonder why. If BTS is so successful, how come SIDS deaths are still the leading cause of postneonatal infant mortality in the United States and why haven't these deaths declined more? Researchers conducted a new study in an attempt to figure this puzzle out by examining both intrinsic and extrinsic risk factors for SIDS. 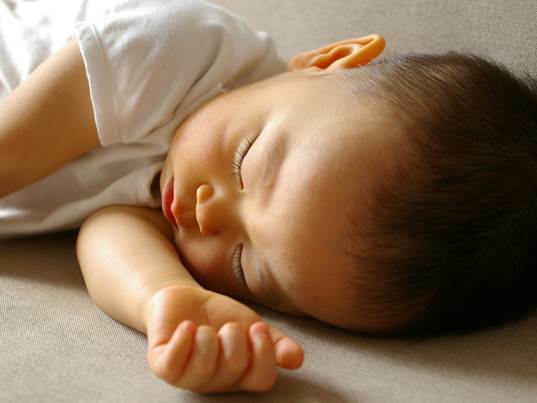 The researchers define an intrinsic risk factor for SIDS as a genetic or environmental factor - race, gender, prematurity or prenatal drug use for example - while extrinsic risks include physical stressors that may increase the risk of SIDS, such as co-sleeping, tummy sleeping, soft bedding, respiratory infections and smoking while co-sleeping. During the course of the study, researchers discovered that 99% of infants who died from SIDS had at least one intrinsic or extrinsic risk factor, 75% had at least one of each and a majority (57%) had at least two extrinsic risks and one intrinsic risk factor.